The days of endlessly forcing myself to go out on a Saturday night, those are officially over. I have learned to see the beauty of a quiet evening in, cleansing my mind, reducing all stress. Taking my time to relax has become a lot easier ever since we moved into our new home. That is because I can finally enjoy the luxury of a hot bath. 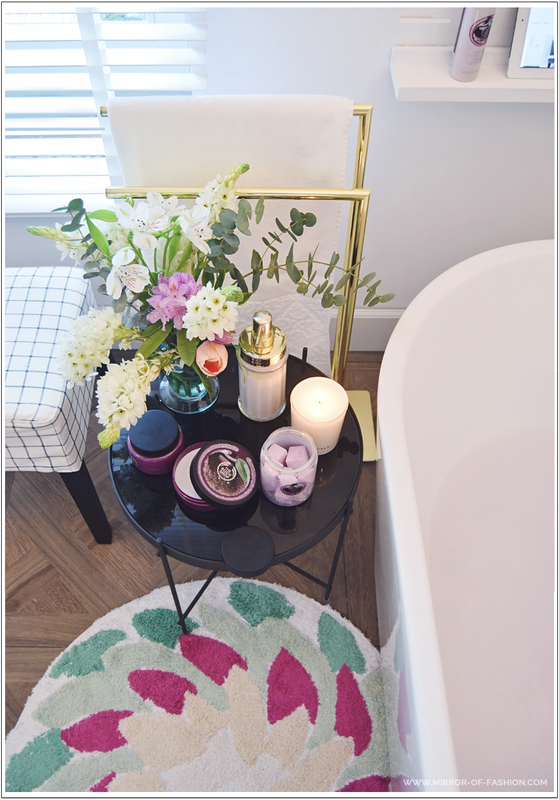 I put on some relaxing music, take some of my favorite reading into the bathroom, arrange some candles around the tub and place a glass of wine or a cup of tea within reach, on our new side table by Zuiver. The bathroom is by far my favorite place in the house to light up candles, especially the aromatic ones for infusing an extra relaxing smell. 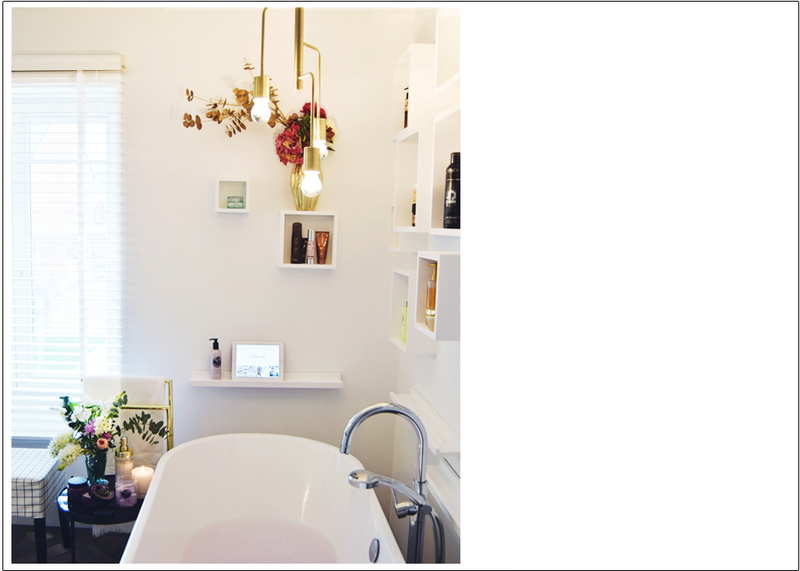 For a bathroom can never be too relaxing, or cozy. My current favorite bath and body line is the 'Frosted Plum' one by The Body Shop. Its scent reminds me of opening up a box of fruity floral candy. What's your ideal way to relax?